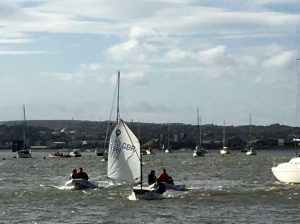 The final event of the season for Medway Oppies, The Oppie Club Championship was decided in dramatic fashion on Sunday Oct 20th. 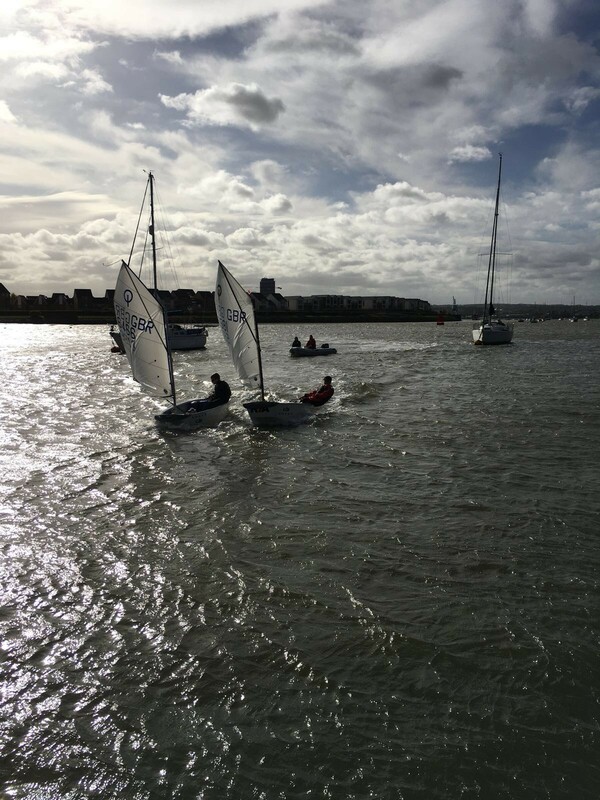 Planned initially as 3 back to back windward leeward races but what was left of Storm Brian was still blowing 20 knots down the river Medway. 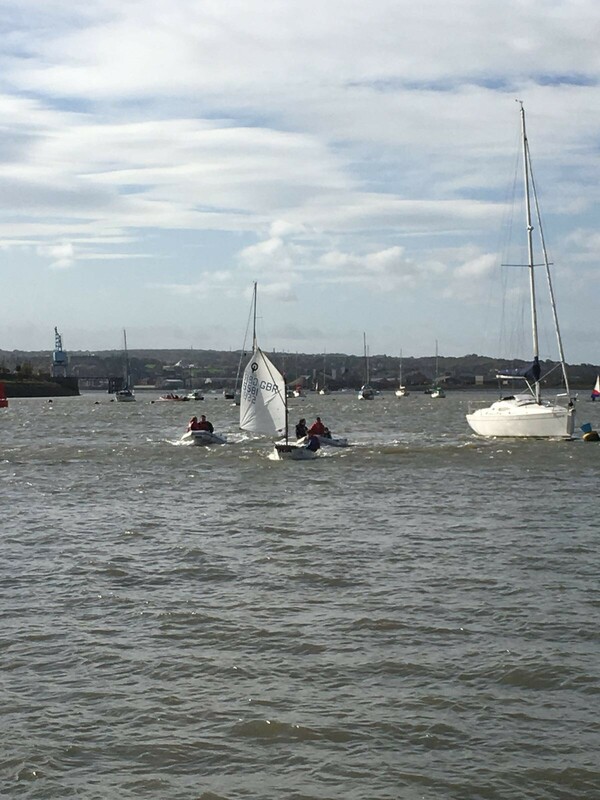 A quick risk assessment was made and due to the wind against tide and the strong gusts the format changed to boat on boat America’s Cup styled match racing, with winner takes all. 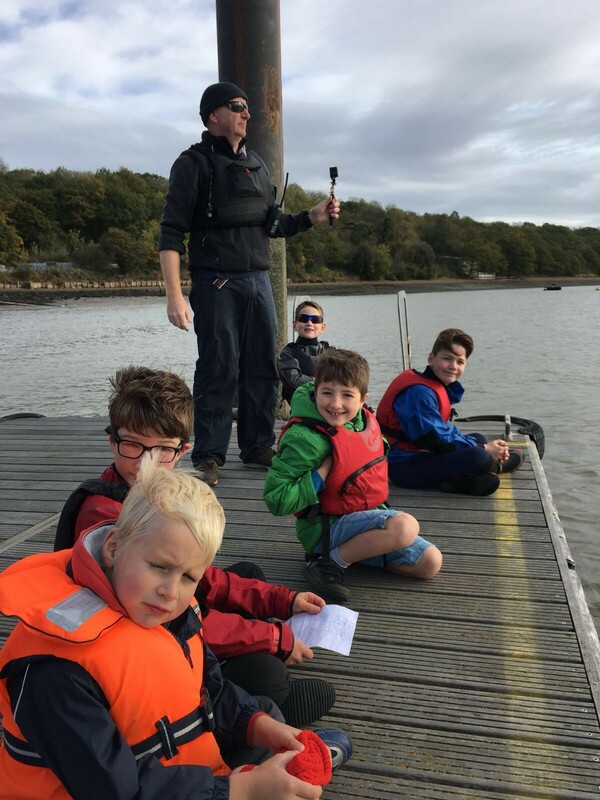 With the building wind and with dinghies shaking on their launching trollies a few young sailors took the wise decision that caution is preferable to rash bravery and opted to spectate along with the gathered mums and dads from the safety of the pontoon. The course was set as a one lap across the river and back with the start and finish line off the pontoon. Then the talk switched to tactics, was it wise to reef, would the heavier Optibat be the slower but safer option. 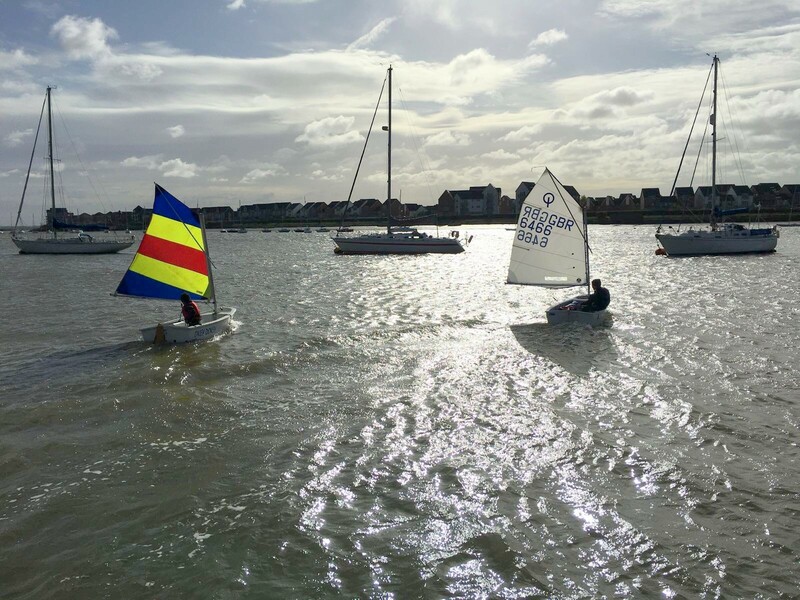 First race was Millie Lewis in the full rig Optimist against Zak Mitchell in an Optibat. Although the Optibat was very stable and well sailed, it didn’t have the full on speed of Optimist, Mille took the first win. 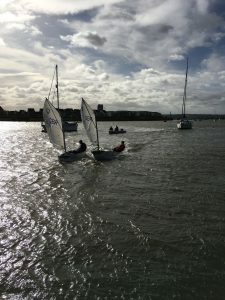 The second race was between Henry Lewis and Sam Woodgate, both in full rig Optimists, Sam took a wide line to the turn mark and ended up having to run back to the finish. Sam is our current Oppie Capsize king and although the conditions were good for him to demonstrate why holds this prestigious award he kept the mast pointing the right way but he did managed to fill his Oppie with a large amount of the river. The win went to Henry. 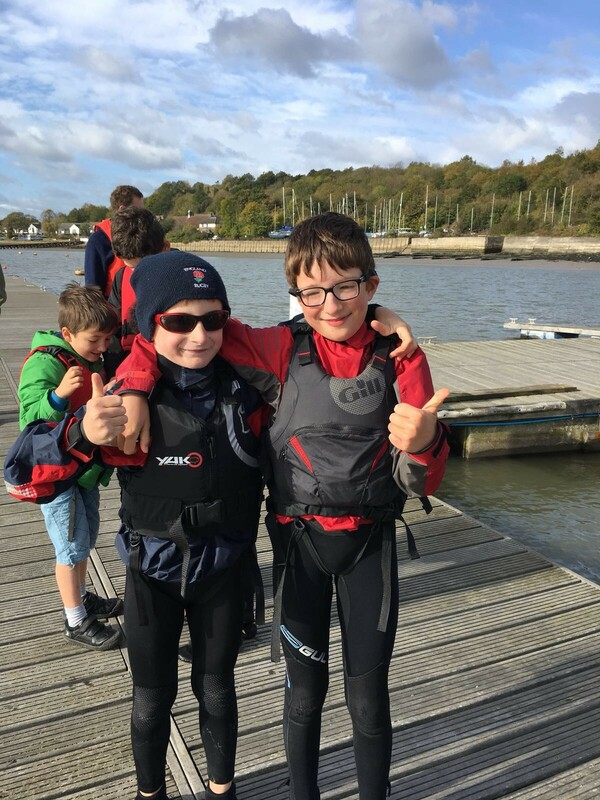 Third round between Henry and Zak was a repeat of the first with Zak showing great skill but not enough speed in his Optibat. The win went to Henry. The final race was the closest of the day and marked a long running sibling rivalry squabble between Henry and Millie. Henry lead until the turn with his sister glued to his quarter. 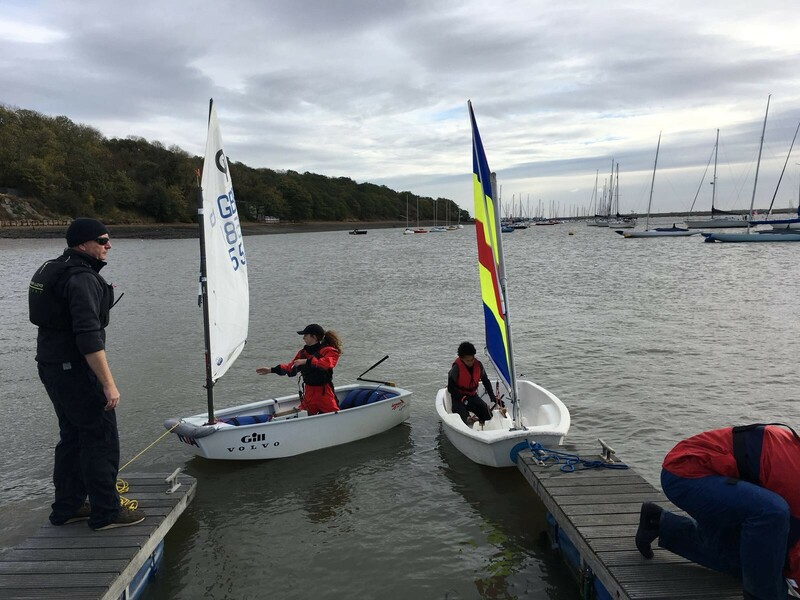 In the end it came down to a crafty move to windward and a lucky gust in the final meters with Mille popping her Optimist up on the plane and taking Henry by a boat length at the finish to become this year’s MYC Optimist Club Champion. The Club Championship marks the end of the MYC Oppie 2017 season, some Intermediates are training through the winter but the 2018 season begins at Easter. 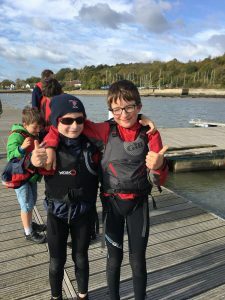 If you have any young potential sailors aged 6-12 please get in touch, see the class page for details.